Your air conditioner can meet your cooling needs during those hot and muggy months. But an improperly functioning unit serves very little purpose as you sweat indoors. Not only does it diminish cooling efficiency, it can likely increase energy costs. Factors such as damaged coils, unclean or damaged filters and circuit breaker problems can cause your unit to shut off and shorten its lifespan. Inspect your unit and repair common problems. Troubleshooting your air conditioner will improve cooling and promote longevity. Reset your air conditioner's circuit breakers. 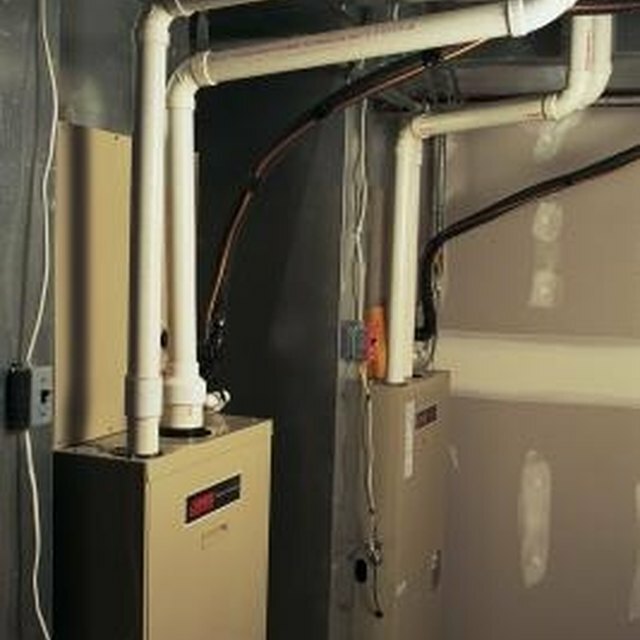 To do so, locate the electrical panel box next to your outdoor unit. Open the panel, and push the circuit breakers to the "Off" position. Wait a few seconds and then turn them back on. Refer to your unit's manual if you are unsure where your circuit breakers are located. Reset the circuit breakers in your home. The circuit breakers are usually inside an electrical panel in the basement, attic, or electrical room. Turn them off and turn them back on. Contact a qualified professional if you do not feel comfortable handling circuit breakers. Check your outdoor unit for freezing. Turn your unit off if you see water below the unit. Leave the unit off for a few hours to see if it will thaw and then turn it back on. Contact a qualified appliance technician if your unit is still freezing, because the coil may be damaged. Remove the filter from the filter compartment on your unit. Refer to your manual if you are unsure how to do so. Brush off leaves, dirt and debris if it is dirty. If the filter is damaged, purchase a new one from a hardware or appliance store and replace the old one. Some units' manuals recommend replacing the filter every month. Refer to your air conditioner's manual for maintenance tips specifically for your unit. Contact a qualified appliance technician if your air conditioner is still running into problems.